Laying the foundations for your child's future. The first few years of a child's life are considered the most important for their future. 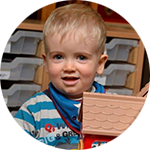 Here at Adelaides we work in partnership to ensure your child's nursery life is safe, stimulating, and fun. 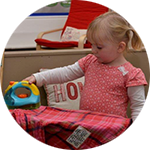 We have four areas within our nursery including two baby rooms. 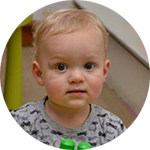 All our staff have many years experience looking after your children, with a particular expertise in baby care. Homelike and cosy, catering for very young babies 0-1 years. Adelaide's second baby room can take 12 babies aged 1-2 years. Boisterous toddlers enjoy our fantastic large and dynamic area. 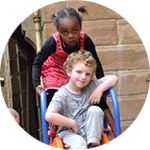 We have capacity for 20 children aged 2-3 years. Another large area providing care and pre-school education for 28 children aged 3-5 years.